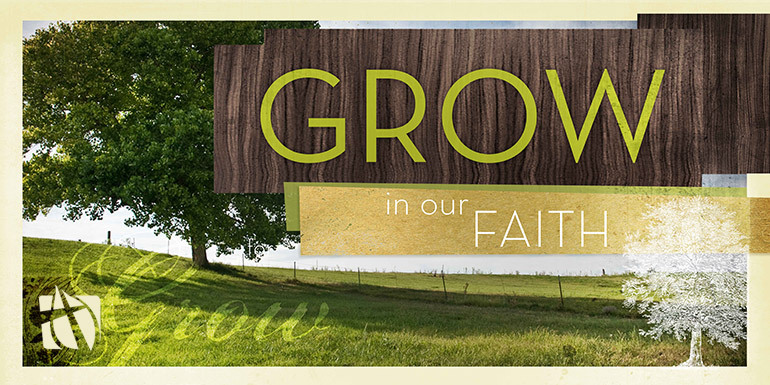 In the Christian life, it is important to take steps and keep growing in your faith. Following Jesus is a process and a journey, not a onetime decision. A theology that stops at salvation is missing the full life Jesus offers us today. God invites us to grow up — to mature and become like Christ. There are many ways to grow in your faith: spiritually, emotionally, intellectually, through spiritual disciplines, circumstances and life stages. We grow in Christ through the truth of God's Word and the Holy Spirit's work in our lives. We grow in community with one another. And, ultimately we grow in our faith for a purpose. As our faith increases, we are equipped to reach out, make disciples and impact our world for Jesus. Check out some opportunities in this section to explore ways to deepen and grow in your faith at Calvary Church.